Why would I need self storage in Tustin, CA? There are a variety of reasons why you might need self-storage in Tustin, CA. How much is a storage unit in Tustin, CA? The cheapest storage unit in Tustin, CA is $41.00 per month. What size storage units do you have available in Tustin, CA? In Tustin, CA we have sizes that range from 5'x5' to 20'x25' to suit your storage needs. How much is it for a 5'x5' storage unit in Tustin, CA? The cheapest 5'x5' storage unit in Tustin, CA is $55.00 per month. Situated between Santa Ana and Irvine, Tustin is located in the heart of Orange County. 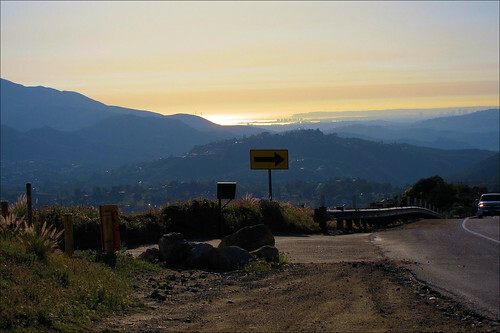 It's known as "The City of Trees," as it has one of the most distinctive natural landscapes in the Orange County area. With a scenic location that's convenient to the Los Angeles metro area, a wide range of housing and a vibrant sense of community, Tustin is a popular home base for many people in Orange County. Like much of Southern California, the area where Tustin now sits was originally called home by Native American tribes. The first European settlers arrived in 1769, part of the Portola expedition from Spain. A small collection of missions were established just north of the area. In the late 19th century, the Tustin area was settled by Columbus Tustin, a carriage maker from Northern California. Throughout the 1880s, the town welcomed a few local businesses, a large hotel, churches and a trolley line. It also became home to a large expanse of flourishing Valencia orange tree groves. However, Tustin didn't really take off until the mid-20th century. After redeveloping the former orange groves and annexing large areas of land throughout the mid-century, Tustin grew to be the size it is today, just over 11 square miles. Tustin and Orange County have a diverse economy, with businesses in every sector from education and health care to real estate and entertainment. If you're looking for a position in health care, you have many options, including St. Jude Medical Center; University of California, Irvine Medical Center; and Hoag Hospital Newport Beach. Walt Disney Parks and Resorts is the area's largest leisure employer, while Jones Lang La Salle is Orange County's largest real estate firm. California State, Fullerton, and University of California, Irvine, provide thousands of education jobs in Tustin and the surrounding county. If you're just starting your Tustin job search, you'll find the largest number of opportunities in the city's flourishing industries of professional and business services, leisure and hospitality, information technology, and education and health services. Tustin students enroll in the Tustin Unified School District, which was first established in 1972. The district has received several National Blue Ribbon honors, and two district teachers have been named California Teachers of the Year. The district has also received national recognition for its high-performing Model United Nations program. Springfield College is a small, private college located in Tustin, providing a convenient option for higher education. Utilities: Southern California Edison and Southern California Gas are the city's central energy providers. Water services are facilitated by a few different water districts; your neighborhood location will determine your specific provider. Garbage and Recycling: Trash, recyclables and green waste are collected on a weekly basis in most residential areas of Tustin. Transportation: There are several Metrolink stations throughout Tustin, providing convenient transportation in and around the city. If you're searching for the most affordable homes in Tustin, you should search near Interstate 5, which bisects the city. If you have a higher housing budget, you'll find most of Tustin's million-dollar homes in the northeast corner of the city, especially near Tustin Ranch Golf Club and Citrus Ranch Park. Overall, housing prices in Tustin are on the rise and have passed the averages for the surrounding Los Angeles metropolitan area. Our lowest priced units in Tustin, CA average $48.67 per month. 728 people have reserved units in Tustin, CA in the past 30 days. There are 6 locations within Tustin, CA's city limits. There are 3 locations in Tustin, CA that offer AC and Heating features.